We have a simple, effective way for you to raise money for The Fine & Country Foundation without the need to dip into your own pocket, climb a mountain or do a sleep out. Sign up to AmazonSmile! 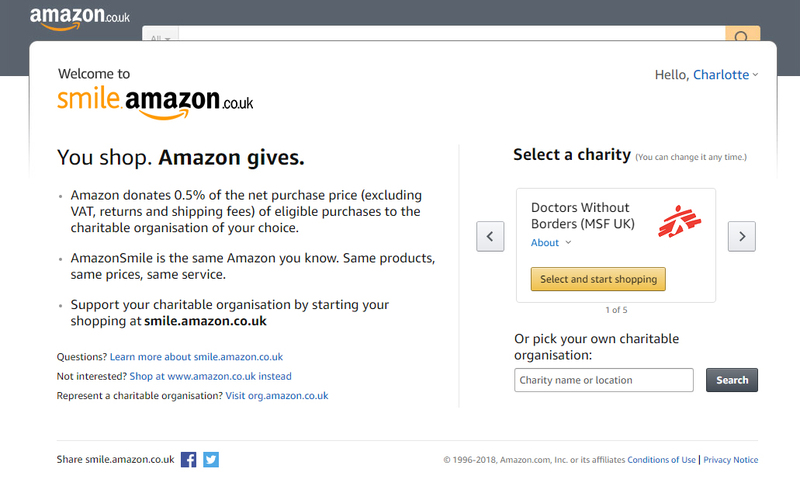 Through Amazon’s charity arm, 0.5% of net purchases come directly to us. There are no extra costs for your products. Amazon donates to us directly. 1. Log into your Amazon account through smile.amazon.co.uk. 2. 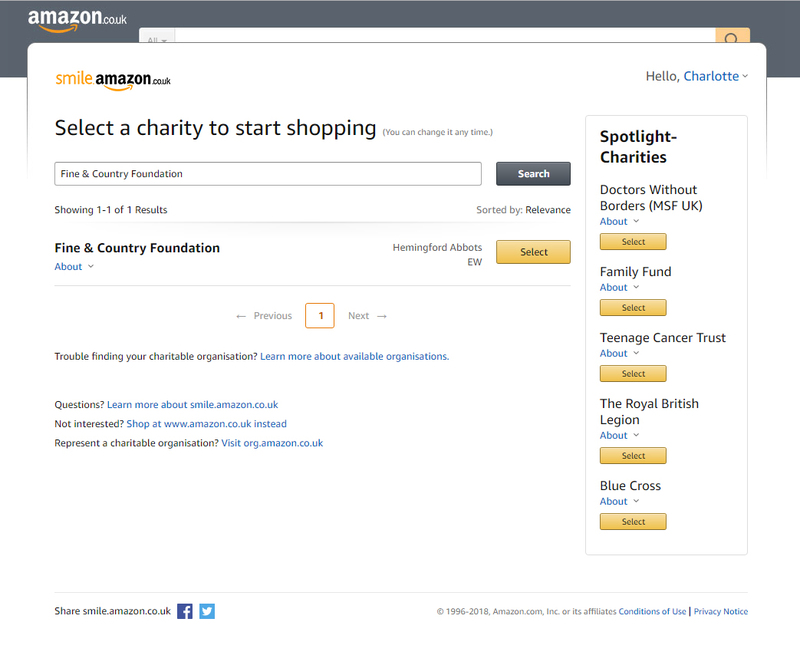 In the section “Or pick your own charitable organisation:” search for “Fine & Country Foundation”. 3. Click, "Select" in the yellow box. 4. Read and tick the box and click "Start Shopping". Every penny that comes to The Fine & Country Foundation goes directly to homeless causes in the UK and overseas. Twice a year we distribute funds through our grant programmes. In 2018, we gave more than £100,000 to 25 homeless charities through our spring and autumn grant programmes. Each grant supports important projects and schemes, from skills workshops for young people, to converting shipping containers into self-sustaining homes. You may think that 0.5% of net purchases won’t make a difference to the amount we can raise, but you’d be surprised how this can add up. With these simple steps above, you can help us raise thousands of pounds to support more homeless charities. Remember, shop through smile.amazon.co.uk to make it count! For more information about AmazonSmile, help setting up, or how we can help your favourite homeless charity, please contact foundation@fineandcountry.com or call +44 (0)20 3368 8221.